There are a many options for personal ear protection. Custom earplugs can be used for protection from water exposure or noise. Custom fitted earplugs are individually designed to provide exceptional comfort and protection. Not only are they protecting your ears, but they are comfortable for long-term use and easy to wear! Custom Sleep Earplugs are a comfortable solution for blocking out annoying sounds such as snoring, traffic, etc and getting an uninterrupted nights sleep. They are made of a soft, silicone material and made from a custom ear impression. Custom Swim Earplugs are a comfortable alternative to keep water out of ears when swimming, diving, showering, and water sports. They FLOAT and can be customized in flesh tone as well as many color options! Earplugs can keep your ears dry during swimming or showering and ward off swimmer’s ear. This is a painful external ear canal infection caused by water irritation. Custom Swim Earplugs are especially important for those that have a hole in the eardrum or Pressure Equalization tubes. Motorcyclists use under helmet for reducing wind and bike noise. Race car drivers, pit crews and spectators need to protect hearing from engine noise and for communication transmission. EMT’s, policemen and firefighters have to hear important communication transmissions under noisy circumstances. Construction workers, carpenters, machinists and heavy equipment operators need maximum protection with the ability to hear instructions. Industrial workers, shop teachers, supervisors and printers are exposed to noise on a daily basis and need to preserve their hearing. Marching bands, athletes and coaches are exposed to noisy, reverberant environments as well as loud “starters” such as whistles, starting guns, etc. Custom Hunting Earplugs: Hunting, shooting, military and law enforcement personnel are exposed to dangerous sudden impact noise from gunfire. A filter instantaneously closes when damaging noise levels are reached but this earplug allows for normal hearing at other times. Custom hearing protectors are made to fit the user’s ear after an ear impression has been taken by our Audiologist. Different vents and filters are included with custom hearing protectors depending upon the user’s needs and environment. 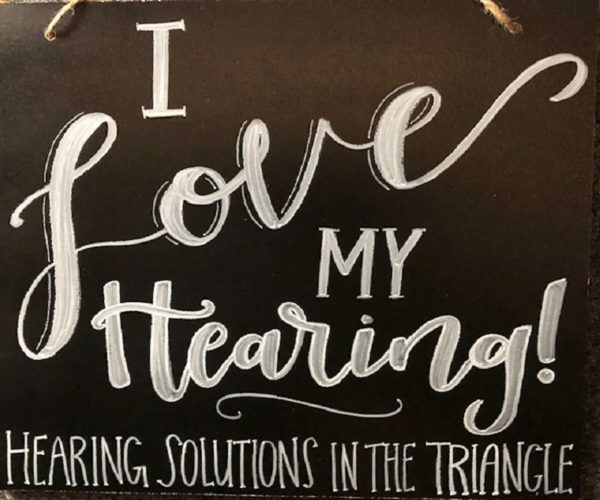 Contact our Audiologist at 919-968-7556 for a consultation to help in the selection of the most appropriate hearing protector for your needs. Schedule your appointment today!